As we close the book of Galatians, we are reminded of the greatness of grace. Paul ends chapter 6 saying, “Brothers and sisters, the graceof our Lord Jesus Christ be with your spirit. Amen” (v. 18). I’m so thankful for the grace of God! In chapter 6, we see the grace we have in four areas. 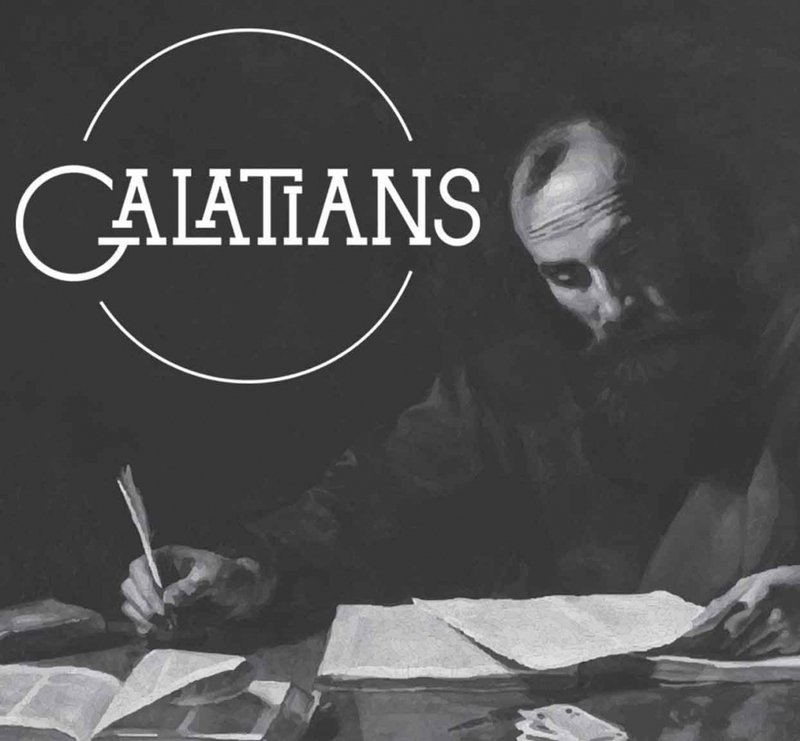 In verses 1-5 Paul instructs the Galatians on restoring a person who has fallen and on carrying one another’s burdens. How do you respond when others fall? In the body of Christ, we are family. Don’t rejoice, repeat, reveal, or reject… restore!We all have too much junk in our own lives to point fingers. Respond like Jesus responded to the woman at the well or the woman caught in adultery. Only someone who is walking in the Spirit can restore the fallen. Restore means to set a broken bone or to mend a broken net. The purpose is healing, restored relationships with God and others. The verdict is out on all of us. No believer is beyond temptation and no believer is beyond restoration.Life is filled with burdens. Be kind to everyone you meet because everyone is having a hard time.If we only knew the battles that people are fighting and the burdens they carry, we would be more understanding and less judgmental. Verse 6 says, “Let the one who is taughtthe word share all his good things with the teacher.” I admit this verse is a little awkward for me to teach. Who is being taught? You. Who is the teacher? Me. The Bible teaches we should support servants of God, pastors, staff, missionaries. This principle comes from Jesus. October is Pastor appreciation month. Let’s take the attention off me. Who teaches you spiritual things? Who has made a difference in your life? Take time this month to thank them for the way they care(d) for you! Apply these verses to your campus pastor, other pastors, your connect group leader and your host home.When you give to others whose ministry has blessed you, you are sowing seed that will reap a spiritual harvest. When you use your resources for sinful purposes you reap a sad harvest. “For whatever a person sows he will also reap” (v. 7). Verse 7 teaches divine sovereignty and verse 8 teaches human responsibility. You are not going to pull a fast one on God. We all will answer to God for the way we live our life. Choices have consequences. In verse 9 Paul says, “Let us not get tired of doing good, for wewill reap at the proper time if we don’t give up.” It is the law of the harvest. You reap what you sow, more than you sow, and later than you sow.There is a time between planting and reaping that we can grow tired, weary, and impatient. That is where some of you are in your singleness, marriage, parenting, career, ministry. Hold on! The harvest is coming! Even godly, committed Christians grow weary. The Lord of the Harvest is going to bless the laborers of the harvest if we remember the law of the harvest. Don’t quit! Jesus said pray always and don’t lose heart. “Due season”means your own personal time period. You don’t have to be jealous of others, God has enough blessings to go around. In verses 11-18, Paul is clear that his identity is in the cross. “But as for me, I will never boastabout anything except the crossof our Lord Jesus Christ” (v. 14). Paul suffered much for the cause of Christ (2 Cor. 11:24-28). He knew what it was like to be weary, but he was not trying to impress people. He knew his identity was in the cross and in Christ. He had been made a new creation. He was a marked man. He’s saying to the Galatians, You may be confused between following the law or following the Lord, but I know who I am and where I stand. My scars prove the level of my love for Jesus. Now, compare that to the ease with which we live. We know little suffering compared to Jesus and Paul. What are some spiritual marks for Jesus?Love for God and others, fellowship with others, service in the church, warfare, generosity, sharing your faith, unity in the body of Christ, etc. Do these things mark your life? 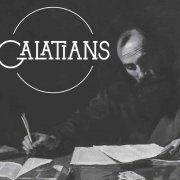 We have learned from our study in Galatians what Christianity is and what it’s not. It’s not about morality or trying to be a good person. Good people still go to hell. It’s not about being moral, keeping rules, or a list of dos and don’ts. It’s not about denominations or religion. It’s not about being American or Jewish. Christianity is all about Jesus. Jesus is God, and He came to love us, save us, heal us and transform us. You can’t earn it. It’s a gift called grace. That is the greatness of grace. Grace is greater than all our sin.